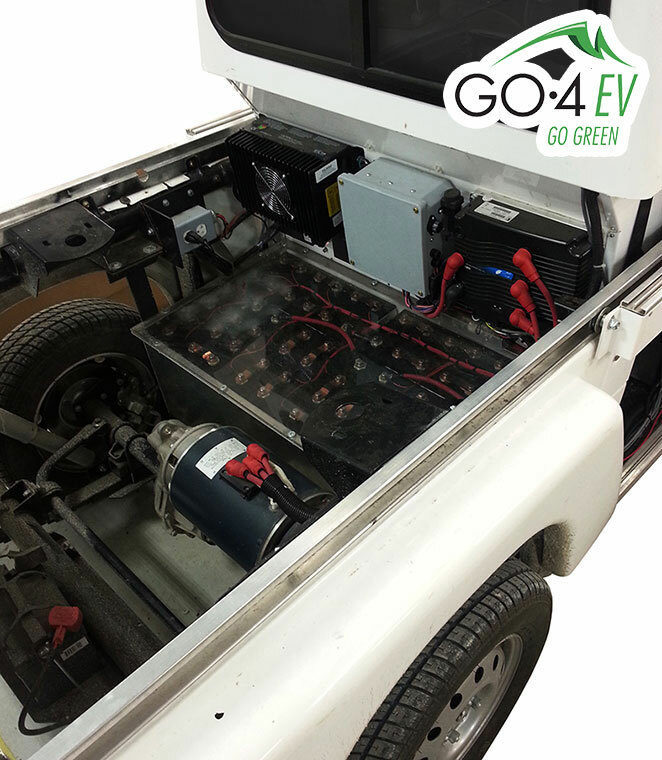 Our GO-4 EV is powered by a 96 Volt, 55 peak HP (41KW), 3 phase AC motor. This motor has been designed with most terrains in mind and has plenty of power. 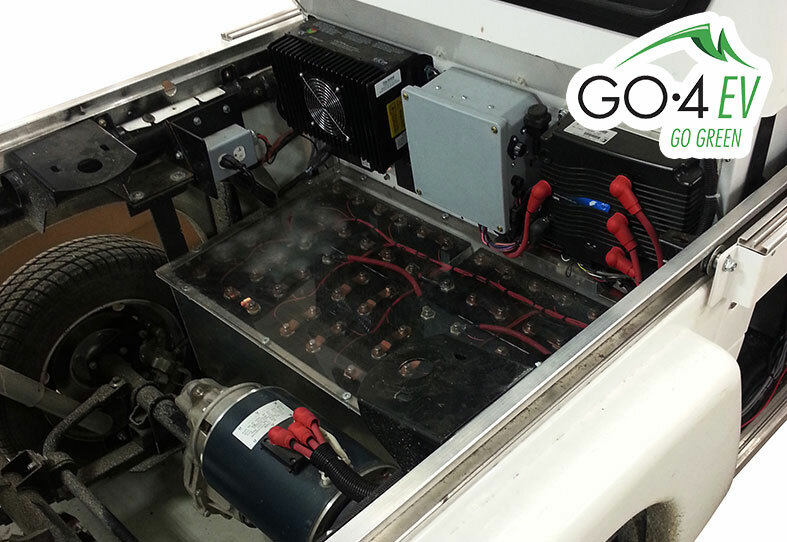 We have chosen a 96 Volt, 19.2KW Lithium Ion battery that lasts at minimum an 8 hour work shift (in most scenarios). 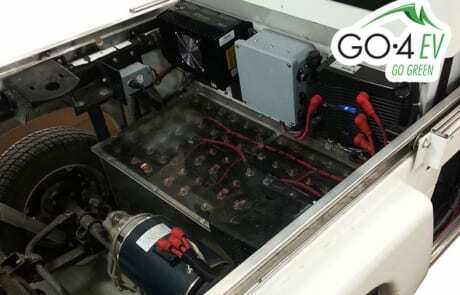 Normal Operating conditions yield 65-75 miles per charge. We have however experienced a range between 55 to 100 miles, many factors effect range such as weather, terrain and battery care. 110V or 220V charging. 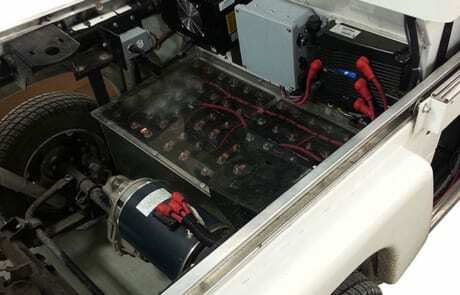 220V charges in less than 6 hours, 110V in 10-12 hours.